Microsoft is bringing its Xbox One to China this September after the nation recently ended a ban on foreign-made video game consoles. The U.S. company, which announced the move on Wednesday, is targeting a market with over a half billion gamers, according to the company. 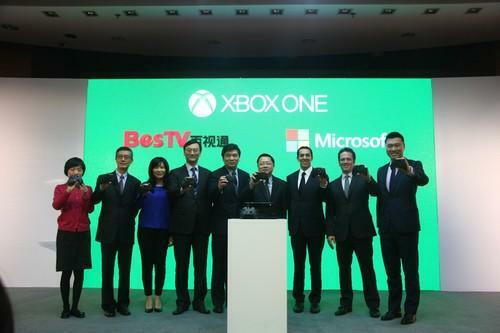 In preparation, Microsoft has established a joint venture with Shanghai-based BesTV, a provider of Internet television services, to help develop its Xbox business. So far, the company is the first foreign console maker to announce a launch for China. Government restrictions on the systems had kept Microsoft, Sony and Nintendo out of the market for 13 years. But last September, China effectively lifted the ban, allowing foreign-funded companies located in a new trade zone in Shanghai to sell consoles nationwide. On Wednesday, Microsoft called the Xbox's upcoming launch in China a "historic milestone" for the industry. But the company could still face some challenges in selling the system. All Xbox games brought to China will still need to receive approval from local authorities before they can be sold. This could mean that more violent games won't arrive in the market. Local Chinese companies, including ZTE, Huawei and TCL, are also releasing cheaper consoles for around US$100 that can play Android games. In addition, many Chinese gamers are accustomed to playing on PCs at Internet cafes or on their smartphones. But Microsoft's partner BesTV is confident the Xbox One can still sell well as a high-end gaming device. In addition, Microsoft also wants local Chinese developers to build games for the console. The Xbox already has some popularity in China. For years, local consumers have bought video game consoles from unofficial dealers at Chinese electronic markets. These grey market dealers specialize in buying consoles from Japan or Hong Kong, and then shipping them to China for sale. In the case of Xbox 360, grey market dealers have been able to reconfigure the system to play pirated games, helping gamers save on costs.